My son recently had a birthday. Now that he is officially older than I am, I sharing with him some of the finer points of aging. 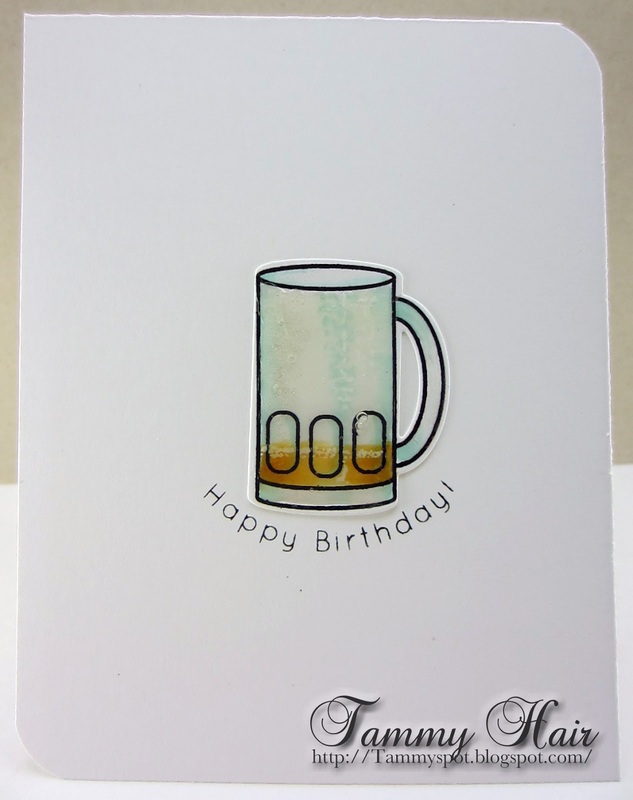 I used the Adult Beverages stamp set from Simon Says Stamp, to prove one very important point! LOL, this is fabulous! Makes me think of my years in Germany :) Great CAS design - and LOL on your son being younger. I keep joking with my daughter's bf - 'you know, back when I was in high school, 10 years ago ........." and he just gives me a look, trying to do the math in his head - ROFL! LOL!! I love this Tammy and what a brilliant design here!! I love the foam and how it's slowly disappearing in the glass!! :) What a fun idea for your son's birthday card! Bwahahahaha.....cheers to your son and I MUST learn your method of math AND how in the world did you color those? They look incredible. Reminded me of the frozen mugs from A&W (back when there were actually car hops on roller skates). The frozen froth and bubblies look amazing Tammy. Nicely done! Thanks for making me smile Tammy! Your card is fabulous, wonderful design and fantastic colouring. Brilliant Tammy..love the froth and fabulous colouring on your mugs of beer..it is so strange that our children get older than us. [ in their mind anyway].. I keep singing Ninety Nine Bottles of Beer on the Wall! CUTE card and know he loved it. Great coloring on the beer and glasses. Pour one up for me! Hey - those three beers look real - great coloring! You are just too clever! What a brilliant idea with the mugs! Oh my, what a fun card this is! My husband would love getting this card! This is such a fun card! Love how you've colored the mugs! I'm so behind on commenting and I've missed so many of your great projects. I'm slowly trying to catch back up. Genius design, Tammy! 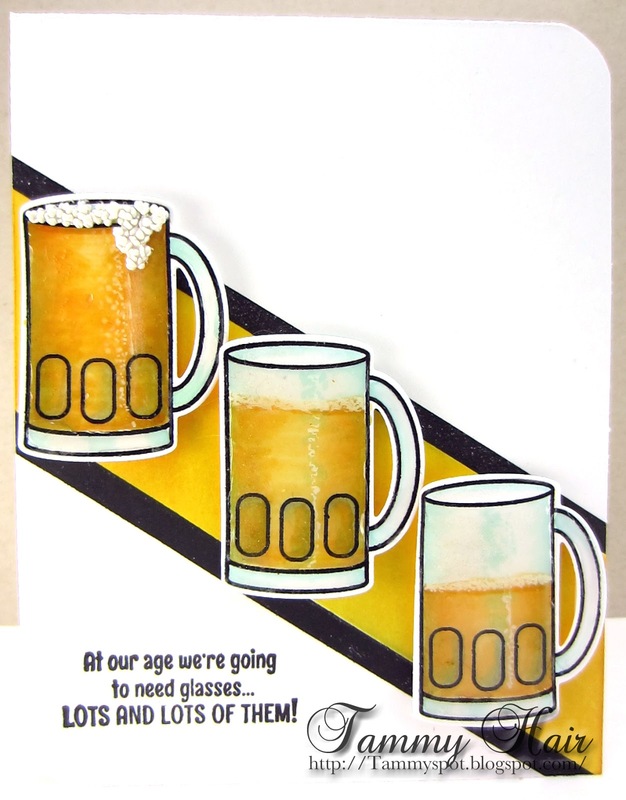 Every guy I know (and most of the girls) would love this sensational birthday card! Love this card! You colored those mugs of beer perfectly. Such a fun masculine card. Ha! I bet he loved it Tammy! Here's cheers for those beers!